PUERTO Banus time trial won’t count towards the Vuelta a Espana individual title following cyclist complaints. 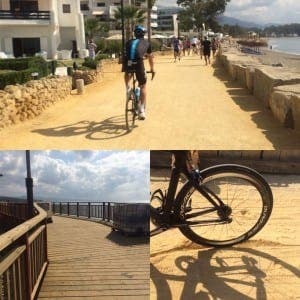 During trial runs on the course, top cyclist Chris Froome and his Sky team posted images to Twitter protesting that half of the 7.4 km section was covered in sand, dirt, rubber mats and contained a narrow wooden bridge. Organisers released a statement announcing that the time trial would count only towards team classification and not individual classification.